Now then chaps and welcome to my first fashion blog post in a while. 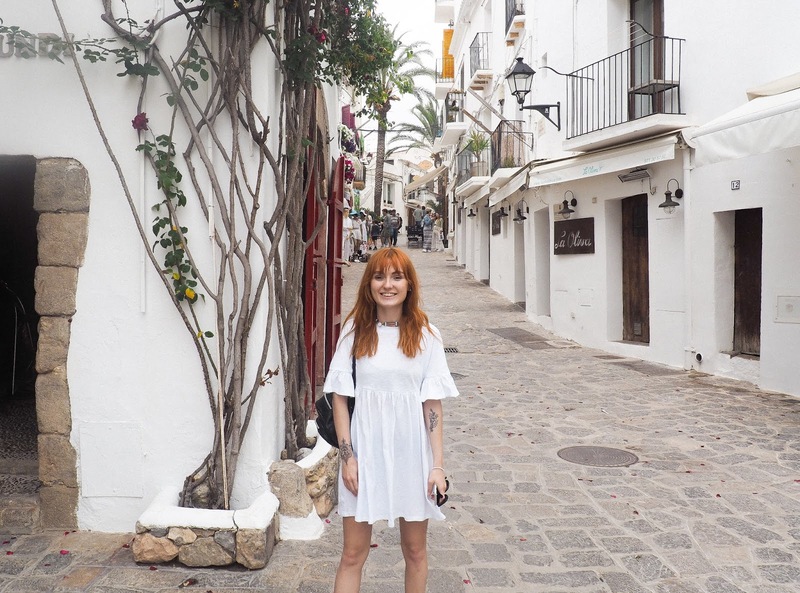 If you read my latest 5 ways to make the most of your time in Ibiza or follow me on any social media, you'll be well aware that at the beginning of May, my boyfriend Andy and I jetted off for a weekend in Ibiza thanks to Jet2. 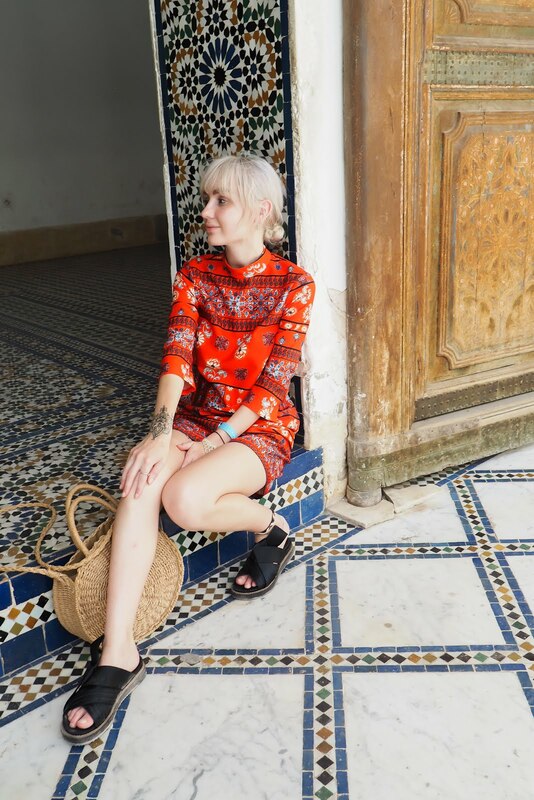 Obviously, being the extra little Instagrammer that I am, I crammed about 50 different outfit changes into the trip and with summer holiday season reeeet around the corner, I thought I'd share a little lookbook of my outfits with links to what I'm wearing or links to similar pieces, because we all know too well how stressful planning holiday outfits can be. I'll be honest, normally I just cram an absolute boat load of clothes into my too small suitcase and hope for the best but actually, I'm pretty darn please with how my Ibiza looks turned out. My trips are normally all about adventure. I'm not the type of holidayer who lies by the pool or sunbathes all day; I like to get out there and explore. 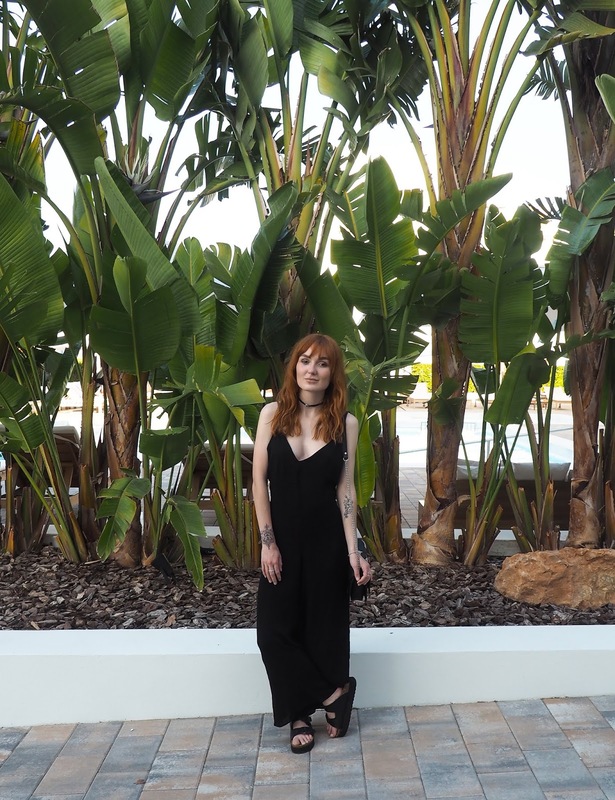 That means that when I'm deciding what to wear, comfort and ease is probably the number one priority for during the day because after all, imagine trying to clamber across a huge cliff of rocks wearing your best heeled sandals and a maxi dress. 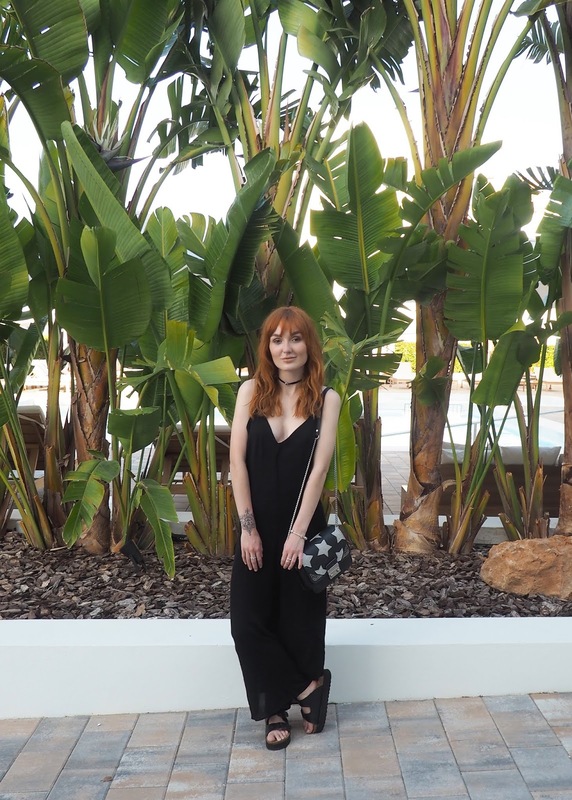 For the first day, I went for an old favourite combination of mine in the form of this adorable Urban Outfitters playsuit. I've had this a while now (I'm talking a good two years) but I've linked some very similar, almost identical ones for you all. 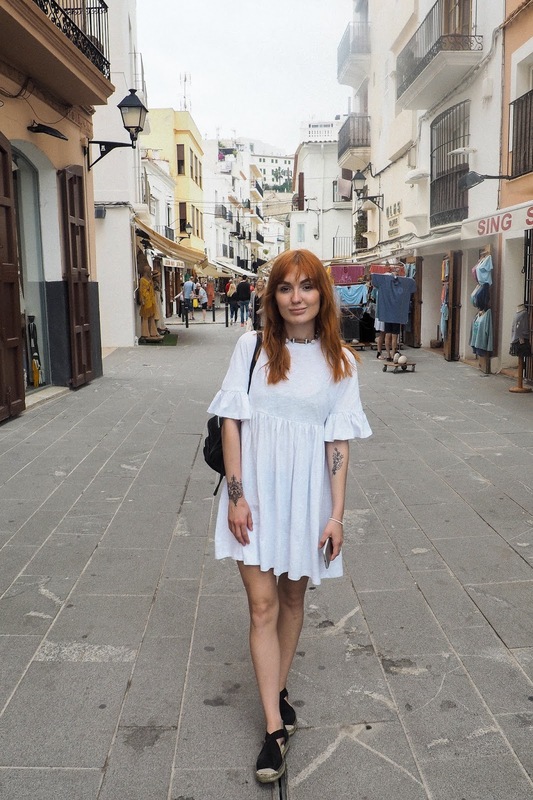 When it's really warm, I just wear it with nothing underneath or a black bandeau top but as Ibiza wasn't at it's hottest, I layered it with an oversized boyfriend t-shirt that cost around 9 quid from ASOS. 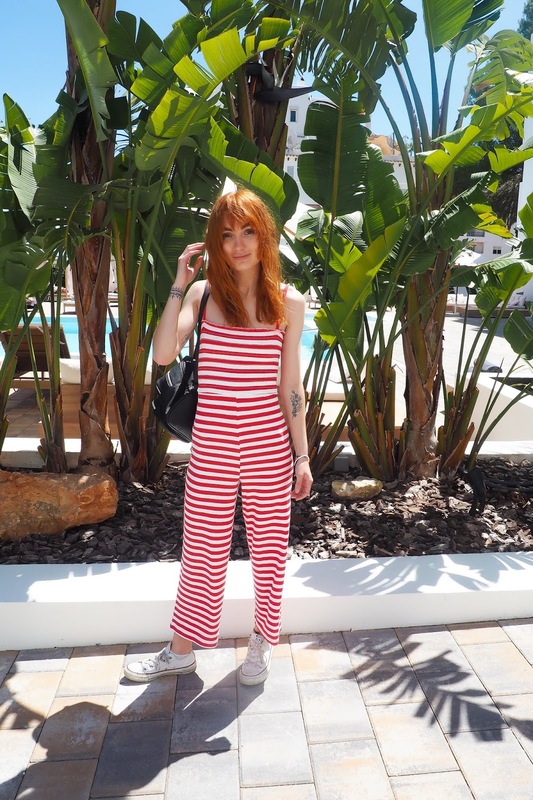 For me, this is my ideal holiday outfit with the casual stripes, the comfort and ease of it and of course, the playsuit only has bloody pockets doesn't it and we all know how much of a difference that makes for us. There are three options of what look I was going for here: (a) where's wally (b) a candy cane (c) the cat in the hat (which my friend kindly pointed out that I looked like on Instagram). Whichever option you go for, I'm absolutely loving this playsuit. I picked it up from Topshop and admittedly it was a real impulse buy but the kind that you absolutely do not regret. Stripes is my go-to style, regardless of whether I'm at home or travelling, and I just love how summery and bright the Wally-esque red and white is. I definitely wish I had a little cute bum bag to wrap around it while I was away! Also isn't it bloody great when you find really nice back drops for you photos in your hotel?! Hotel Anfora had them everywhere and I absolutely wish that I could have trees and plants like this in my little countryside house. Lottery win where are you, a gal's gotta Instagram to run!? Finally (I told you I fit a ridiculous amount of outfits in! ), I went for an old favourite in my wardrobe that has come on every summer holiday with me for the last 2 and a half years. 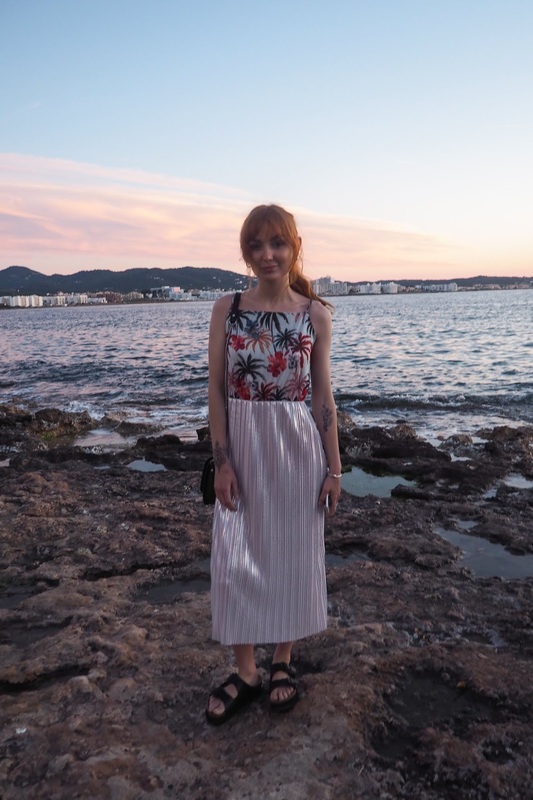 This metallic palm tree midi dress is probably one of my favourite summer pieces ever, just for how unique it is. Metallic pleats on the bottom contrasted with a bright and summer palm tree print on top. I normally wear it with some dainty lace up sandals but this time I went for my chunky sliders and I think I prefer the dainty shoes, just to match the floaty bottom half but hey ho, there's only so much you can justify taking for a three day trip right? I can't for the life of me find anything similar with the palm print so I've linked a couple of the most similar ones I can find on it. 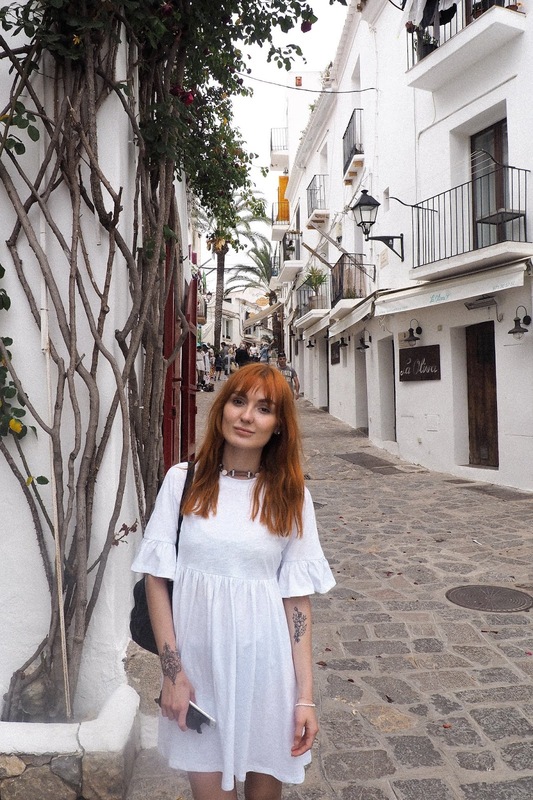 The actual dress is from Zara though and was actually pretty cheap at around £25 which I think is a banging price because in real life it actually looks quite high end! What will all of you be taking on holiday? Do you plan outfits or just whack a whole load of stuff in the case and hope for the best?